1. 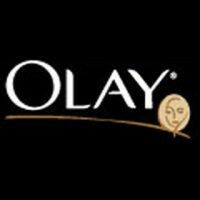 Buy any three Olay Facial Moisturizers, Facial Treatments, Facial Cleansers, Hand & Body Lotions, Body Washes or 6+ Bar Soap Packs by March 12, 2010. 2. To make the most of this deal shop at Target, which currently has large bottles of Oil of Olay body wash for $5.50 each. Reader Tami says some of the soaps have bonus packs of travel-sized soaps attached for free. Plus Target is giving $5 gift cards if you buy three of Olay body washes, which go for $5.50 each. 3. Clip any Olay coupons you have. There are $.25 to $3 coupons listed in the HotCouponWorld.com database. 4. Fill out the $15 mail in rebate and postmark it by March 26, 2010. Make $3.50 (or more if you use coupons) and get a lot of free soap! This is a good deal even if you buy other Olay products.